STARTUPS: train to the fundraising exercise with prominent VCs giving you their insights to Raise Better. CHALLENGERS: be the “VCs for a day” and train to analyse real startups with prominent VCs giving you their insights to Invest Better. VCs: meet promising entrepreneurs to add to your dealflow and identify skilled & connected young people to onboard in your investment teams as interns, analysts or associates. Why a “Venture Capital Investment Challenge” ? “You will never make it. There are too many events out there and you’re not from this industry.” - Too many people, January 2017. If one had to stick to one rule, that would be this one. Listen to people but trust in your belief, self-confidence is key to move forward towards your mission. Be it fool, a vision from your very inside, most of time not really based on a thorough analysis of the market/competition, rather on a sentiment. In the wake of the 1st edition, we decided to publish our manifesto. UPComingVC was born with a cornerstone ambition. “Invest Better. Raise Better”. And we made it, to connect in an innovative way Startups, Students & Young Professionals and VCs. “It is a really great event, […] it gives you the opportunity to really get to know the companies much more in details than other events, because you spend so much time with them. […] You get to know the people better than usual.” - Ravi, VC @ Early Bird. “A great event to train and to learn how to talk with a Venture Capitalist and understand what type of questions they are asking, and to understand exactly what they want to understand about my company. […] I am here mostly to train to become a better candidate for VCs.” - Edouard, CEO & Cofounder @ Navily. 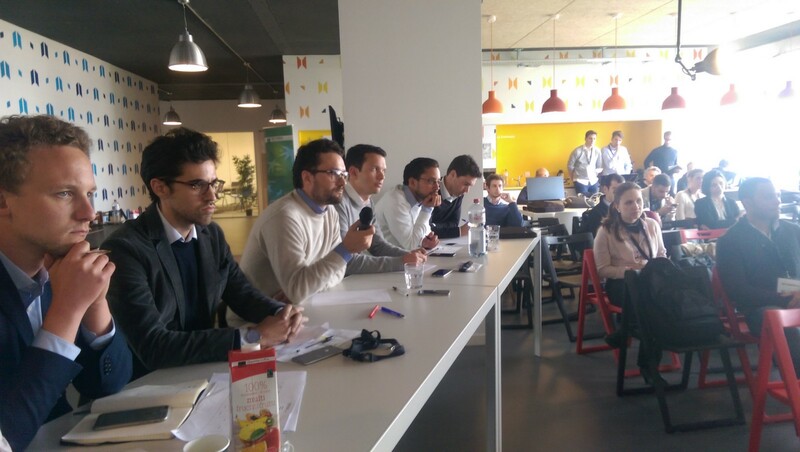 “We never had an event that was that closely related to VCs, a workshop between VCs, startups and students. […] It comes at the right moment as we are fundraising right now, so having the whole due diligence and VC-type question process before, falls a the right time. […] Everyone has been very into the event and pumped up about it. […] The feeling is very much positive.” - Alexei, CEO & Cofounder @ TasteHit. “Thank you all the team for this great event. Worked hard and played hard. Well done! […] It was absolutely amazing because we had so many different companies and we have the chance to interact with all of them […] and learn about the role of a VC, understand what they do, how they make a valuation, have a real-life test.” - Dominique, Challenger, member of the winning team. Our Media partners: Alp ICT, FrenchWeb, Maddyness, Léman Bleu and our Innovation partners: CREA School of Digital, who helped us relay the event in France and in Suisse Romande (French-speaking part of CH). 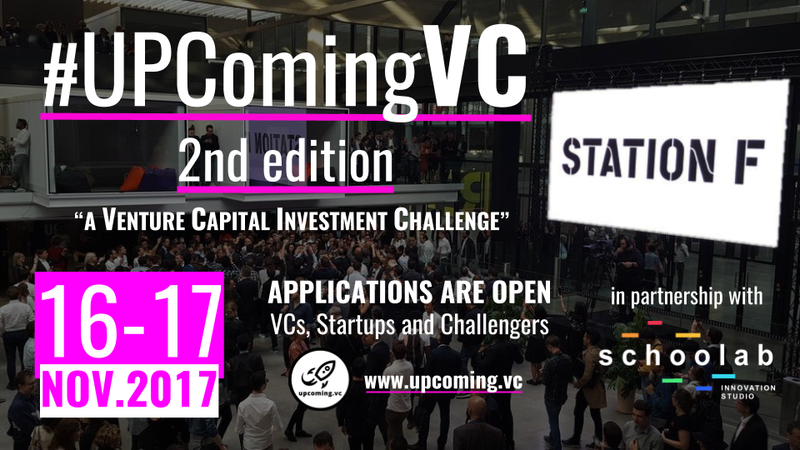 All the 8 VCs and Jury members, coming from France (Ventech, GFC, eCap Partner), Germany (EarlyBird VC, UnternehmerTUM) and Switzerland (Seedstars, investiere.ch, Polytech Ecosystem Ventures) who got really engaged and committed to giving the best insights to the Startups and Challengers. All the 14 Startups coming from France (VinoTeam, Hionos, Whympr, Monaize, Navily, Freshr, PreppySport), Switzerland (Hinster, Olympe, Thyme, DigitArena, TasteHit, Skypull) and South Africa (Shelftenders). All the 15 Challengers from Germany, Switzerland, Spain, Slovaquia, UK.